For some reason I just didn't take a lot of photos this week. Three of the photos on my page are from the same evening. 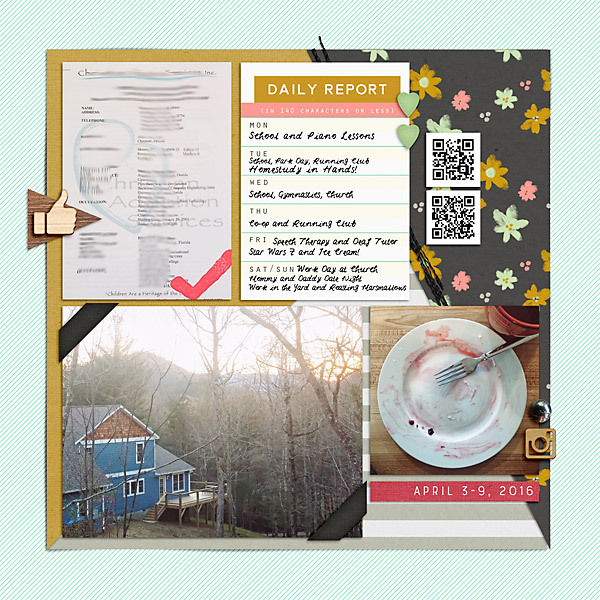 Since I didn't have a lot to show I filled one of the photo spots with a journal card, and I listed out what we did each day. It worked out pretty nicely since it sort of document what a normal week looks around here. This is pretty much what a typical week looks like around here. 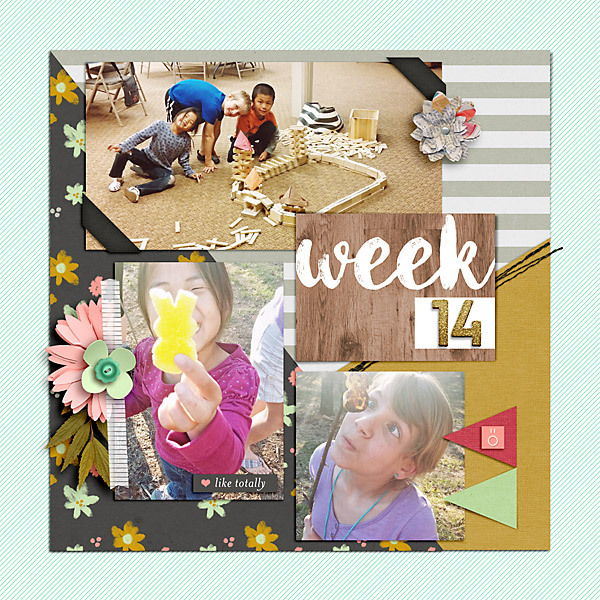 Tues: School, Park Day, Running Club, and I also noted that we got our finished Homestudy! Add in cooking 3 meals a day, doing several loads of laundry a day, cleaning, nightly walks around the neighborhood, and SwL work and you've got my full week right there. 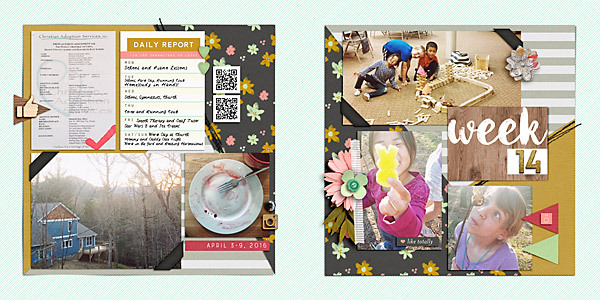 So, if you ever find you haven't taken enough photos of the week use those journal cards. They can help you add some extra journaling and fun tidbits.